This is my Infamous Dog Wheel!! This Wheel is like a big hamster wheel. 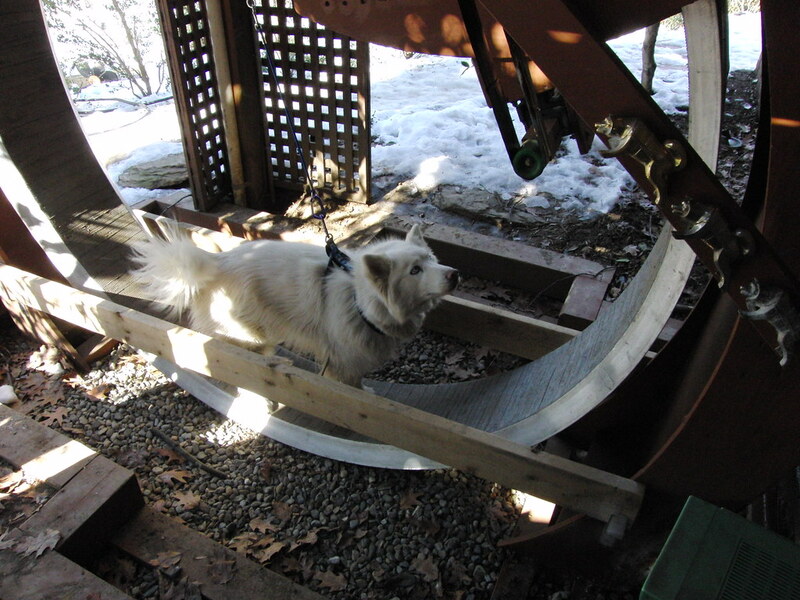 Dog Wheels are familiar to sled dog operators. Some have them on their grounds to let the dogs exercise and run when their not Mushing. I like to compare them to a treadmill that is powered by the dog. These wheels are not powered they are moved by the dog itself. My wheel was custom produced for me by a guy who calls his operation Hound Round. He is an extremely talented and wonderful fabricator and designer. At the time he built this one for me, he was producing smaller units for people who have smaller dogs and space limitations. 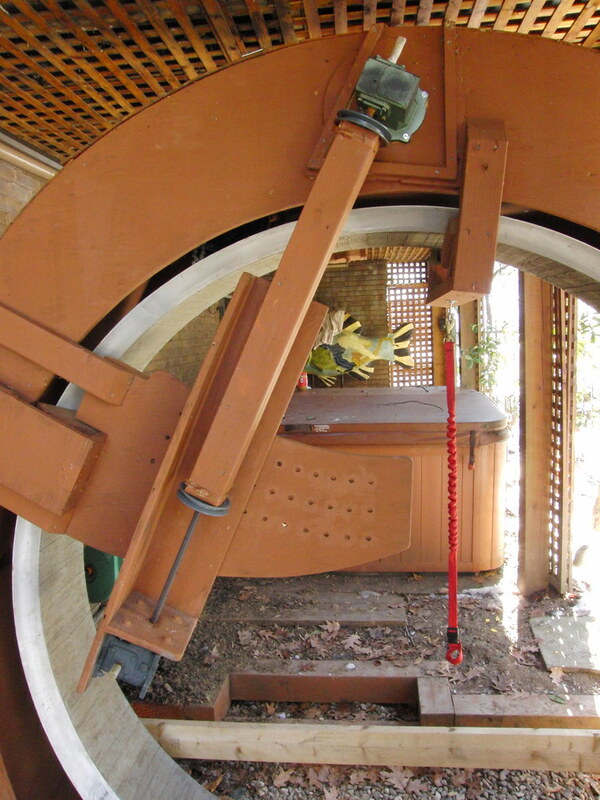 The wheel would comfortably exercise the dog in a small space. Great for weather and time constraints. My wheel was the largest he had produced to date of my order. This “Hound Round” as most of my other dog devices is not an ordinary Dog wheel (if there is such a thing), but an extraordinary work of genius!! This Wheel was designed and built with a multitude of features that could only be imagined in my wildest dreams!! 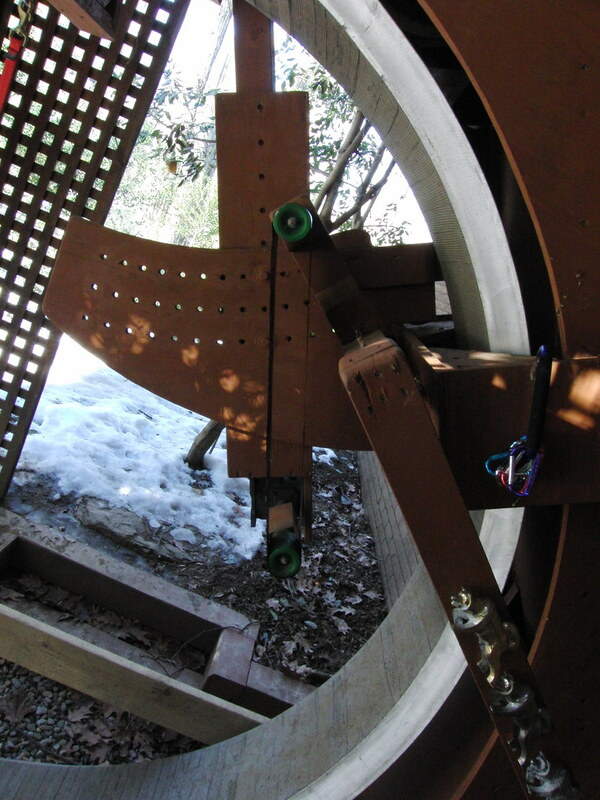 The wheel has adjustable gears to control the resistance and manage the speed for different dogs. Training a new dog to use it, we set on least resistance which still offers a fairly stiff suspension. 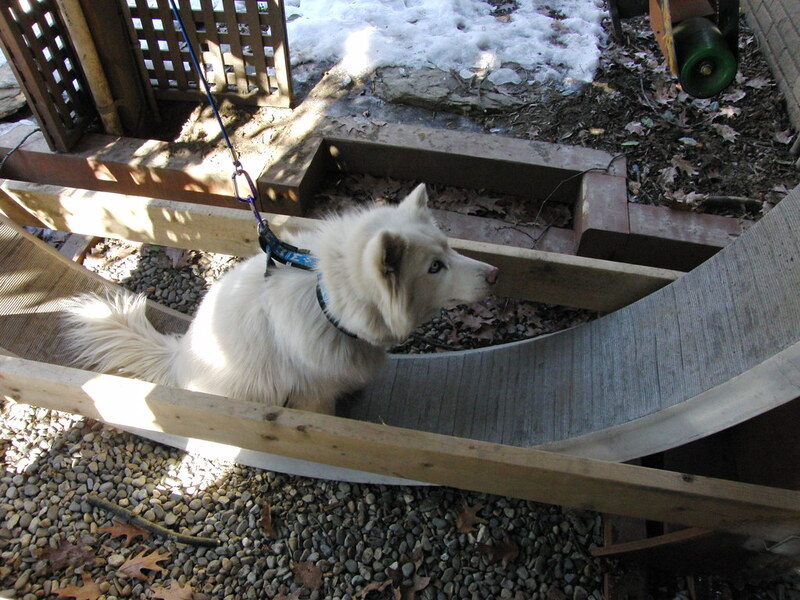 This helps the dog feel comfortable so it doesn’t Freewheel or move to quickly and scare the dog, but at the same time is easy enough for him to turn! 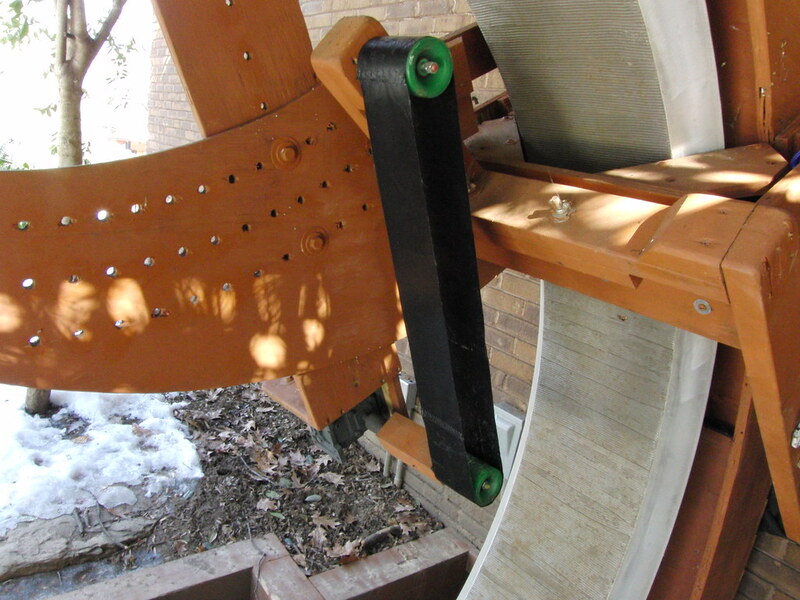 Theoretically, the output from the wheel could be hooked up to power something. What a Green Idea!! 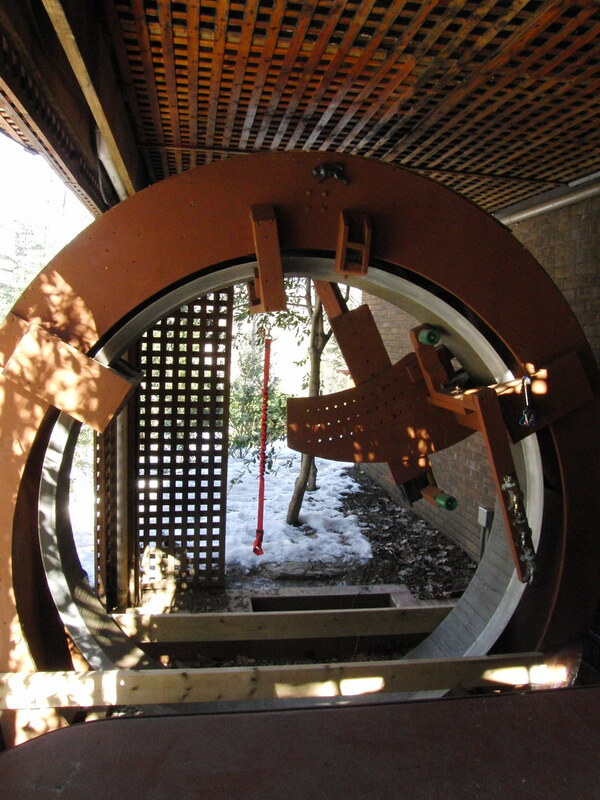 The “Hound Round” was also designed for assistance when training dogs to use it! There are two food option motivators to help ease your dog and keep his interest. There is a belt, that we can spread peanut butter on. The belt is adjustable to fit most mid size to large dogs. This belt will be slightly above the dog to encourage him to reach for it and walk on the wheel. The belt will turn as the dog walks and the Wheel turns. Very cool design!! The other food motivator training aid is a hopper, which can hold treats or kibble. Again the dispenser is located so the dog will have to take a few steps on the Wheel. As the Wheel turns the kibble or treats are dispensed! 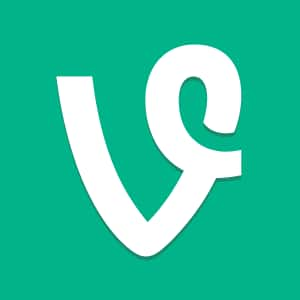 Very cool also. For training purposes, I have added a tether to help keep the dog in place as he learns. 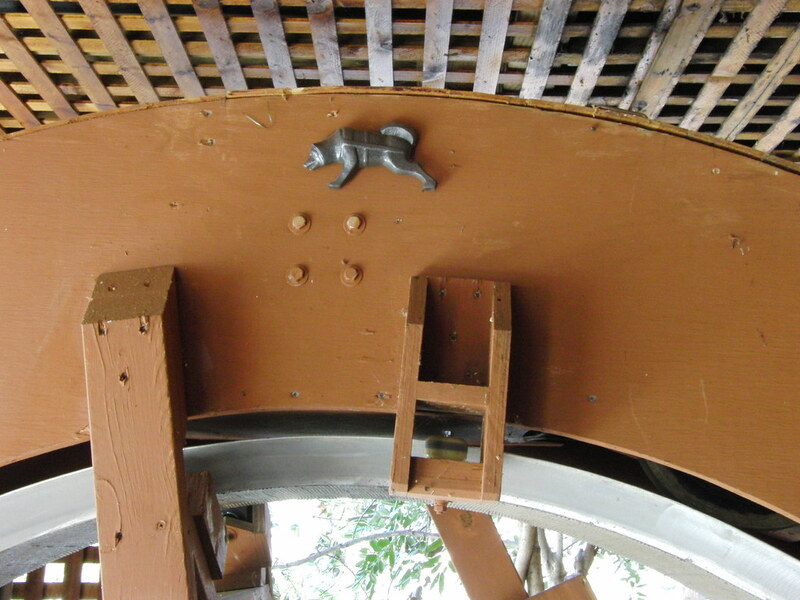 I have also added the rails towards the bottom to help the dog stay inside the Wheel while training, and make him feel more comfortable on it. The Wheel is there for the dogs to use at their leisure. It is a training and conditioning aid, as well as a confidence builder. I am just starting to use the Wheel. I have had it for almost 2 years but with all my other dog activities, and my older dogs not being as active when i got it, it was not a priority or as necessary. Now with the addition of my puppies getting a little older and mature I am starting to train all of the WooFPak to use and enjoy!! 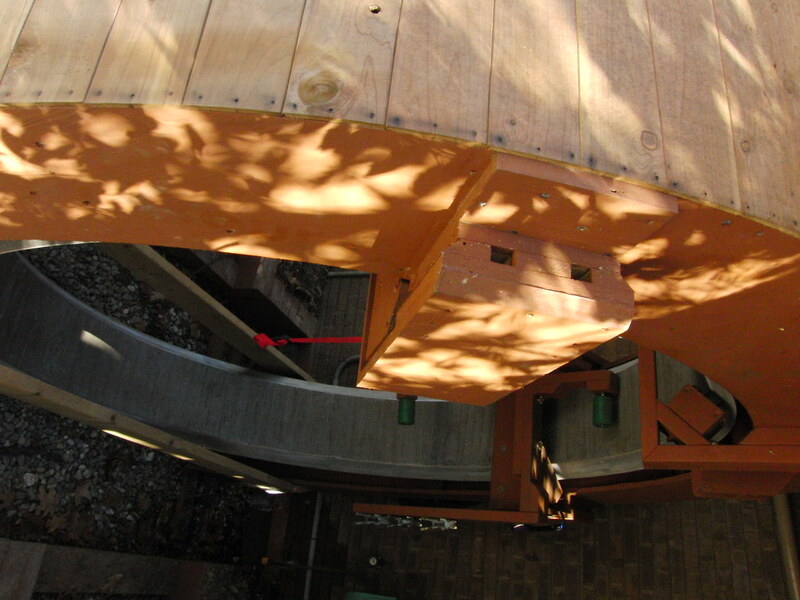 I will add videos as we progress with the use of the Wheel. I have added one of the first training videos for the Wheel I have done. Also I have added the designers YouTubes when he was building my wheel and his dogs that took to it so naturally! 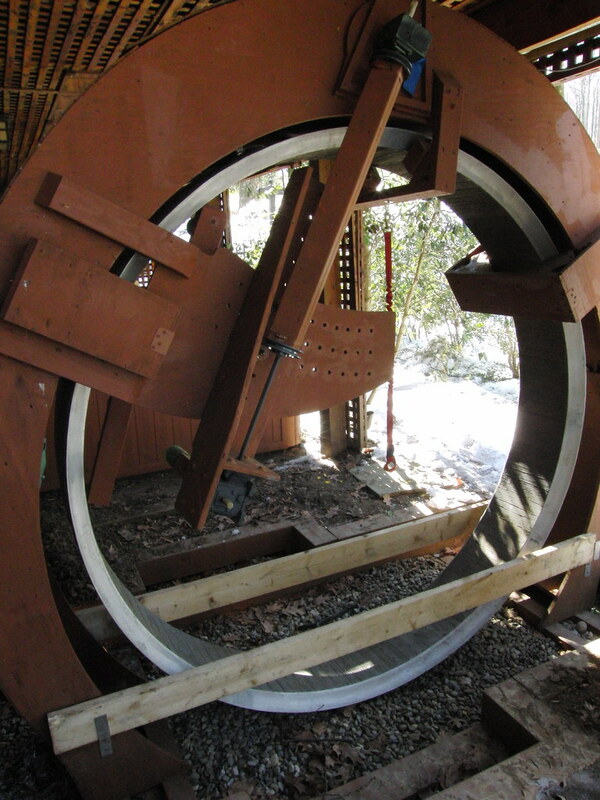 Other videos I have added, are interesting dog sled operators using a more basic Wheel. Please check them out to really get a clear picture of what this Wheel Stuff is all about! !